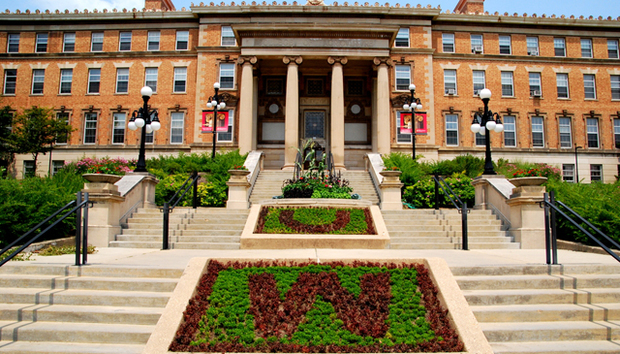 University of Wisconsin: The forefront of water tech? “In Seville in the heart of California’s San Joaquin Valley, Becky wakes up worrying about whether she has enough bottled water to make coffee and give her elderly mother a glass to take with her medications. If not, she may have to turn to the nitrate-contaminated water from her tap,” wrote the Los Angeles Times in September 2010. The following year this was quoted in ‘The Human Costs of Nitrate-Contaminated Drinking Water in the San Joaquin Valley’ [PDF] by the Pacific Institute. This was a report that highlighted the potential severity of water problems, even in developed regions. Water issues and shortages are everywhere. From the severe droughts in California, to what many have described as a “water crisis” in China. And all this puts a great premium on decent water and renders “water tech” an extremely important area for study. Now a surprising leader may be emerging in the field. Government Technology stresses that the University of Wisconsin-Milwaukee (UWM) may not have the high powered research clout, or industry associations of universities, like Boston, Palo Alto, Calif., or Madison. Yet it is slowly beginning to look at socially valuable commercial initiatives in the form of early-warning water-monitoring products. The school boasts five research teams testing sensors inside a wide range of water environments. One of the core researchers is Junhong Chen, who has worked at UWM for 12 years, on a range of different sensors. His faculty biography describes how: “Most of his projects are at the intersection of interesting fundamental science and industrial applications with opportunities for new discoveries”. This has numerous practical applications but, he tells us, handheld devices are gaining the most commercial interest at the moment. These are being used to measure “water contaminants at a low cost”. They also offer continuous monitoring of water contaminants by integrating sensors into existing water equipment, such as water meters, filters, and valves. Chen believes in the short-term, handheld devices will get into the market “sooner” while the continuous monitoring capability will become “available in the future”. The challenge is to keep the manufacturing costs low and ensure that the products have a “lifetime” guarantee.